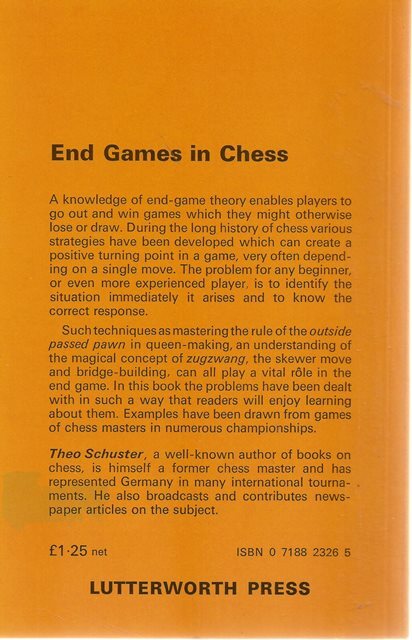 End Games in Chess by Theo Schuster enables players to go out and win games which they might otherwise lose or draw. During the long history of chess various strategies have been developed which can create a positive turning point in a game, very often depending on a single move. The problem for any beginner, or even more experienced player, is to identify the situation immediately it arises and to know the correct response. Such techniques as mastering the rule of the outside passed pawn in queen-making, an understanding of the magical concept of zugzwang, the skewer move and bridge-building, can all play a vital role in the end game. 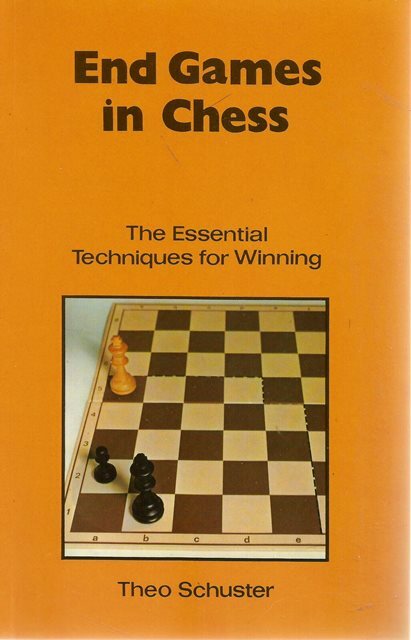 In this book the problems have been dealt with in such a way that reader will enjoy learning about them.Examples have been drawn from games of chess masters in numerous championships.